Join the commercial and package printing industry this April, register now to attend for free. A journey through the show floor, showcasing the latest technologies through live demonstrations. 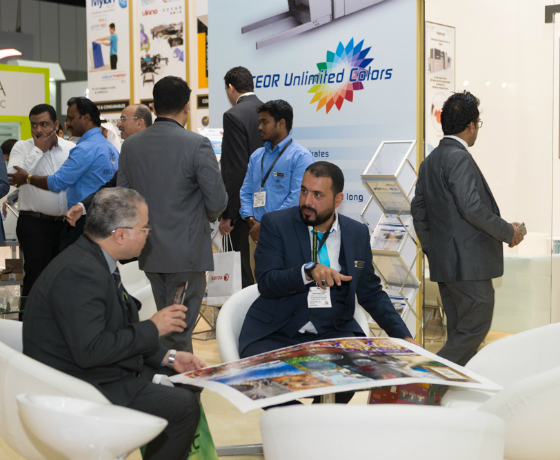 The next edition of Gulf Print & Pack will return once again to the Dubai World Trade Centre. Gulf Print & Pack 2019 is the leading print technology sourcing show for printers and Print Service Providers (PSPs) from across Africa, the Middle East, South Asia and South Eastern Europe. Gulf Print & Pack 2019 is not only a show for printers from the MENA region. Exhibitors use the show to bring printers and PSPs from across continental Africa, South Asia and South Europe to view their latest machinery, materials and software launches. This is helped by Dubai’s easy access visa system from these countries. Gulf print & Pack helps by working with local print associations and in arranging one-to-one meetings.